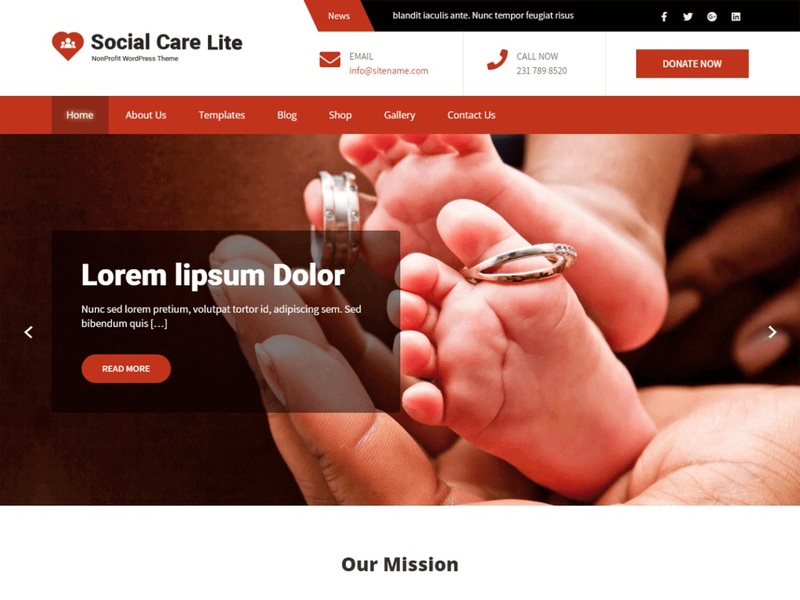 Social Care Lite is a beautiful and outspoken, modern and resourceful, clean and pristine, moving and powerful, graphically polished and attractively designed, secure and reliable charitable organizations WordPress theme. It is a perfect platform for creating effective fundraising and charity websites. This theme is suitable for different types of non-government organizations, charity causes, donations, foundations, church, events, political campaigns, and related projects. You can also use this free theme for construction, real estate, traveling, business, corporate, tourism, yoga, personal, beauty, pub store, education, photography, gym, fitness, eCommerce, hotel projects and many more.